The 2018 G20 Leaders meeting will be held in Buenos Aires on November 30 and December 1, 2018. 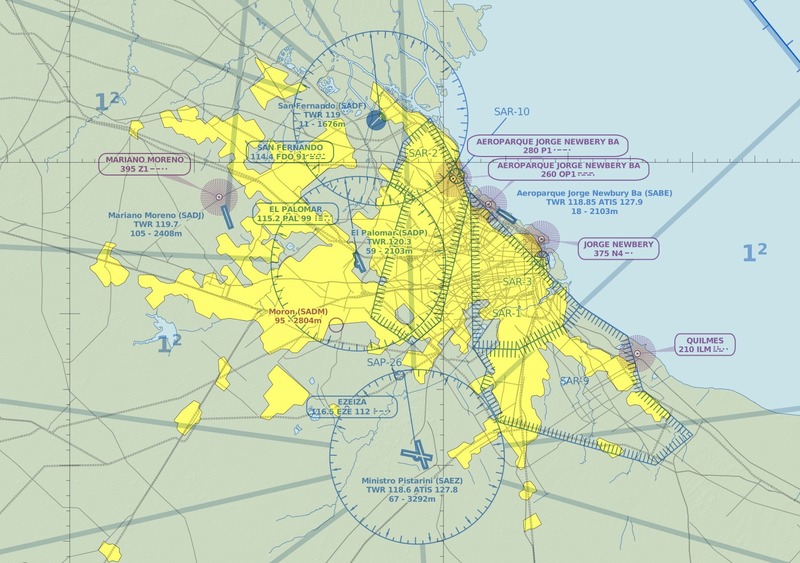 GA/BA flights will be prohibited from operating to both SAEZ/Ministro Pistarini and SABE/Jorge Newbery – but also all the smaller airport across the city as well. AIP SUP A28/2018 goes into all of the restrictions in detail, but here are the key takeaways. SABE/Jorge Newbery – will be totally closed to all non-G20 aircraft. SAEZ/Ministro Pistarini – will only accept regular airline flights. All GA/BA flights are prohibited. RWY 17/35 will be closed and used as a taxiway and for parking only. Many SID and STARS will be suspended and a full list is in Appendix 2 of the SUP. 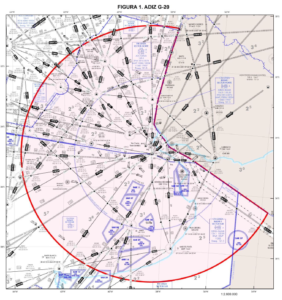 (UPDATE 22NOV: Notam A9669/18 has now been published which brings forward the start time for the ban at this airport to midnight local time on Nov 26). 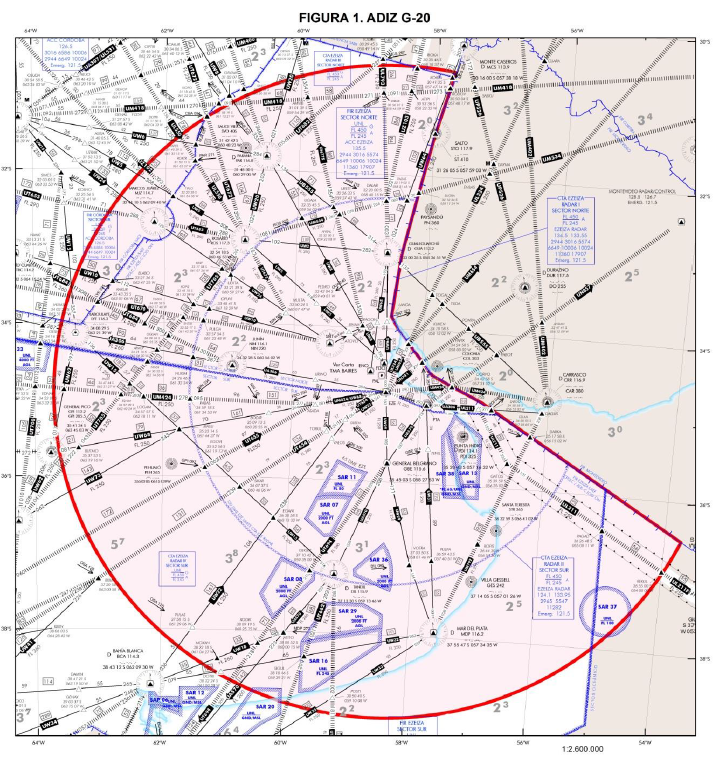 SADP/El Palomar – closed to civil ops, although 8 slots will be made available to airlines from 1800Z-2300Z on Nov 29. SADF/San Fernando, SADJ/Mariano Moreno, SADM/Morón – all closed to civil ops. So with all the Buenos Aires airports out of action for GA/BA over these dates, there aren’t a lot of other options. The closest international airports are: SAAR/Rosario to the north, SAZS/Plata Del Mar to the south, or SUMU/Montevideo – but that’s in a different country! Bottom line – if you’re GA/BA and you need to get to Buenos Aires at the end of the month, you’ll need to make sure you go there before the G20 restrictions come into force on 1800z on Nov 29. All users must submit a flight plan a minimum of 6 hours before estimated off blocks time. All aircraft must operate on discreet transponder codes at all times. An ADIZ is in place out to 250NM from EZE VOR from SFC-UNL within the FIR. There will be 3 temporary restricted areas in place, BAIRES, SPY GLASS and ROJO. 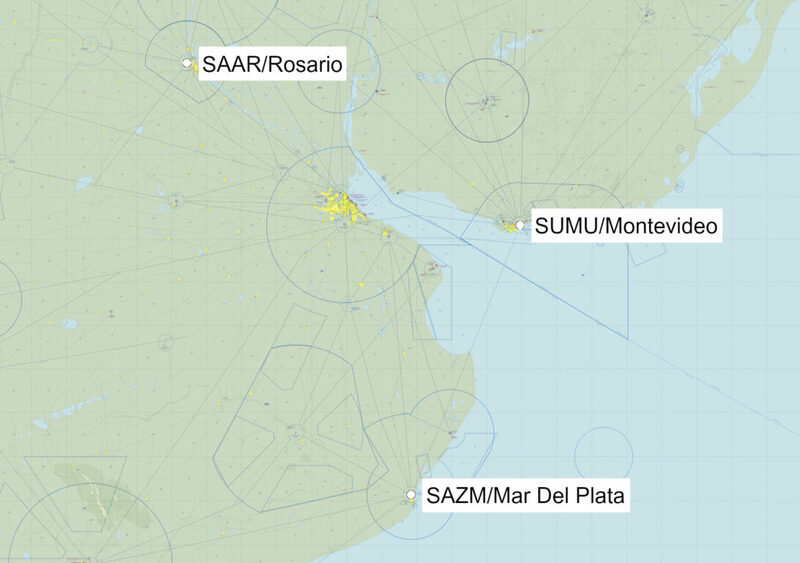 The BAIRES airspace overlays on top of SAEZ/Ministro Pistarini out to 55nm. Expect Air Force fast jets to be patrolling and operating with ‘due regard‘ overhead during various times. Did we miss something? Get in touch!